The Ridgefield Raptors are happy to announce the signing of junior pitcher Josh Sidney from the University of Pennsylvania. “We are very excited to have Josh join us in Southwest Washington as we continue to round out a diverse Raptors roster for this summer,” said Ridgefield General Manager Gus Farah. 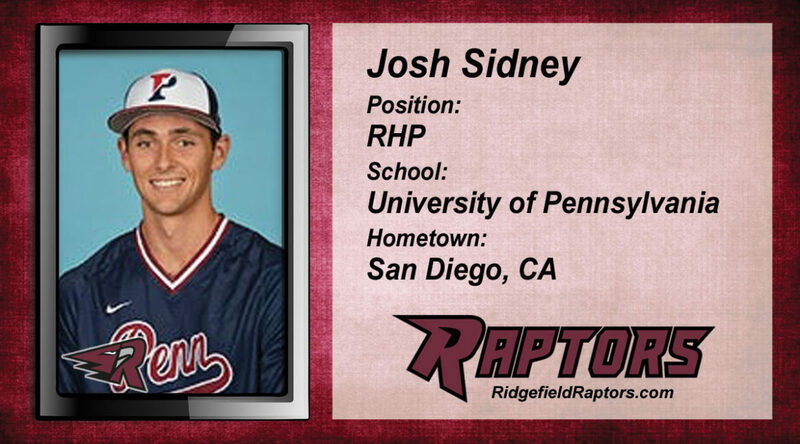 Please join us and welcome Josh Sidney to the 2019 Ridgefield Raptors!